One man is Jewish. We know nothing more about him except what Jesus shares in the parable, which is that, while traveling from Jerusalem to Jericho, he was attacked by bandits. He was stripped, beaten, and left half dead beside the road (Luke 10:30). The other man is black and gay. Chicago police say Jussie Smollett, an actor who plays a gay character on a current television show, was walking back to his Streeterville home about 2 a.m. this past Wednesday, January 30, after a stop at a nearby Subway restaurant. Two bandits wearing ski masks walked up and yelled racist and homophobic slurs at Smollett, allegedly poured what is suspected to be bleach on him, and put a rope around his neck. One man was bloodied. The other bleached. A Samaritan rescued the battered Jew beside the road. The cultural rift between the Jewish people and Samaritans at the time of Jesus’ ministry was well known in that Samaritans were despised by the Jews. There is a story behind this divide. Like all deep-seated hatred, this racism began when the people of the Northern Kingdom (who were not yet called Jewish) were carted off to a foreign land by the Assyrians in 722 B.C.. Some captives from the Northern Kingdom, resigned to living too far from home, intermarried with the Gentles in Samaria. And Samaritans? Oh my! They were “mixed breeds”— half Jewish and half Gentile. Because of this, they were despised by elite, law-abiding Jews. When the Northern Kingdom captives returned to Jerusalem and started to rebuild the temple, some Samaritans poured pig’s blood around the building site to make the ground ritualistically unclean. This meant the temple construction project halted until the vandalized areas were literally mopped and purified. Because the blood polluted what the Jews considered holy space, the Samaritans were despised more than the Romans, who were the political power mongers of the day. The animosity was so great between the Jews and the Samaritans that Jews would not walk in Samaria. Instead, they would go out of their way, even if it meant a longer trip, to avoid entering Samaria and encountering the unclean Samaritan people. What strikes me about both stories is that they are questioned by some to be “fake news.” People doubted Jesus. The parable could be fabricated. Where on the road from Jerusalem to Jericho did this happen? Street address? And who is quoted with firsthand accounts of the violence with the Jew? Yeah. Right. No one. 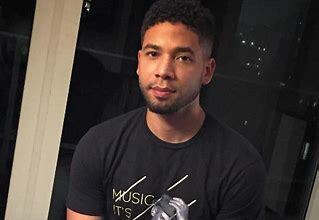 And Smollett? He could be looking for a PR fix, a publicity stunt. Whether you do—or do not—believe these specific acts of violence happened, you know violence occurs. Finger point. Blame. Choose sides. Be “right” from where you sit as both judge and jury if you choose, but here are facts: blood is spilled from people and bleach is poured on people. And the man or woman who helps the hurting is the angel among us. Hatred, racism and homophobia are on yours hands today. Like the Samaritan, that mixed breed helper, you also have a past you inherited and a past you added to with your own imperfections. Question news if this is your pastime. But the greater question is what are you going to do about those who are literally down in the streets and cry for help? I say you cry out to Jesus for direction because, if you know Him, He will call you not to compliancy but peaceful and protective action. PRAYER: Help me help the hurting, especially those who are hurting and hated. Amen.